When Gerry Cordes needs a break, she finds quilting is her best source of relaxation. She’s hoping others feel the same way. Gerry and her husband, Gary, have opened Cordes Cottage LLC. 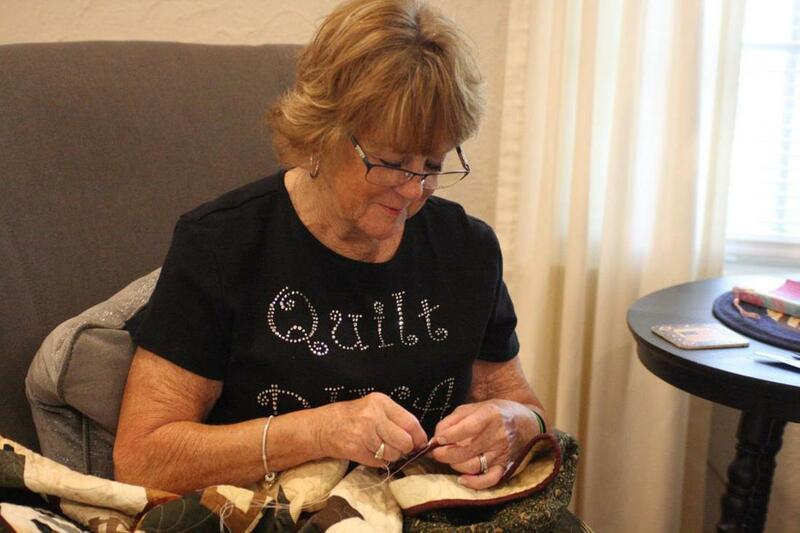 at 245 W. Halleck St. Gerry believes the “home away from home,” as she calls it, will be a perfect place for quilters to escape for a weekend of nothing but quilting and conversation. Quilt retreats are commonplace for Gerry and her quilting friends. She began quilting nearly 20 years ago and has spent several weekends at various spots throughout the area, with the sole purpose of nothing but quilting and re-charging the batteries. The Cordes’ bought the near 100-year-old house six years ago and it served as a rental property. When the last renters moved out in the fall, Gerry began to pitch the idea of a weekend getaway. They spent about two months making renovations to the house, trying to keep as much of the original work in place as possible. The house can accommodate up to eight people with three beds on the main floor and five more upstairs. Gerry made all the quilts on the beds. There are also eight individual tables that can be set up for quilters. But if quilting isn’t your thing, then the house can also provide a place just to escape for a weekend. Gerry will provide a continental breakfast each morning and with the Cordes’ living right next door, they are never too far away if assistance is needed. “You’ve got people who come in for the College World Series or maybe for other events,” she said. In its early stages, the Cordes Cottage is already drawing reservations for the fall and is attracting interest from many of those in the quilting community.